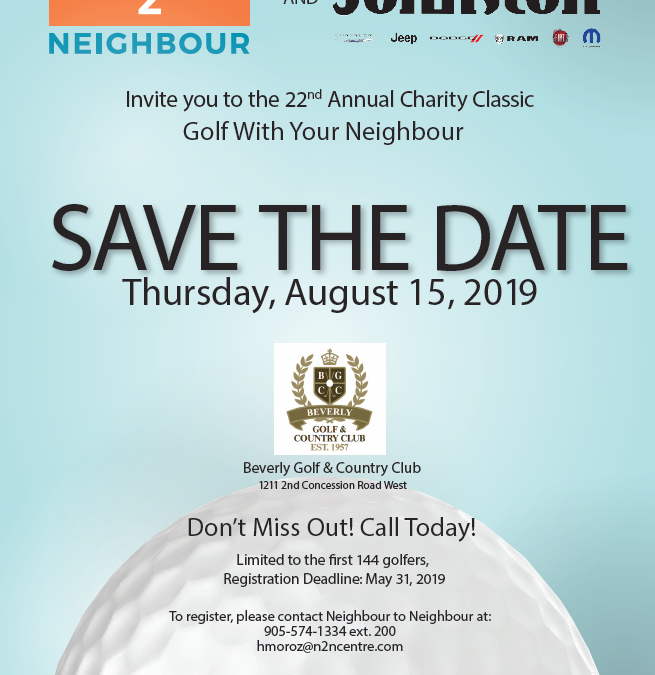 Join us on Thursday, August 15th as Neighbour to Neighbour Centre hosts the 22nd Annual Charity Golf Classic at the beautiful Beverly Golf and Country Club. Registration kicks off at 10am, followed by a shot gun start at 11am. Lunch provided on course with dinner to follow. A silent auction will also be hosted. You don’t want to miss out!